Pompeii, the city preserved like a snapshot of Roman life frozen in time. Part Two of the Pompeii blog series, Read part one here. The amphitheatre at Pompeii provided an intresting diversion to the beautiful ruins around. OMG- a homage to Pink Floyd, how, why ? 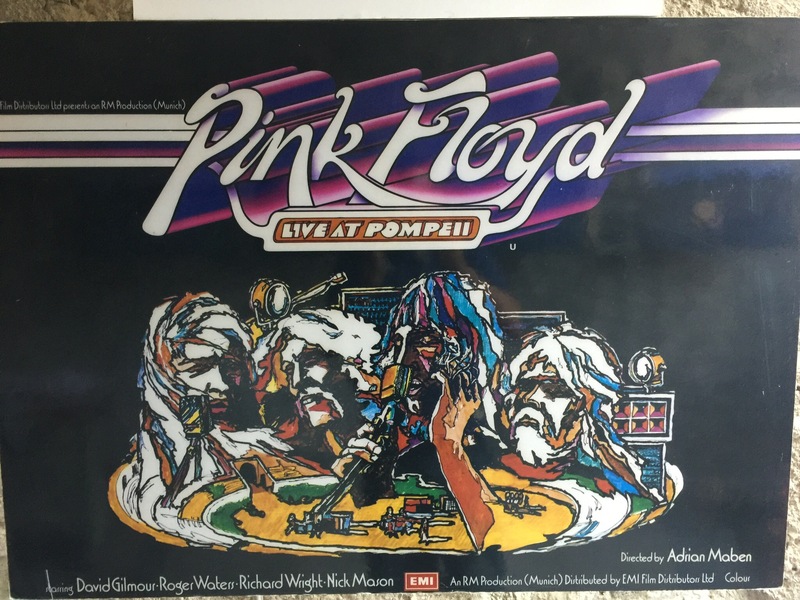 In 1971, Pink Floyd released Live at Pompeii a concert film. 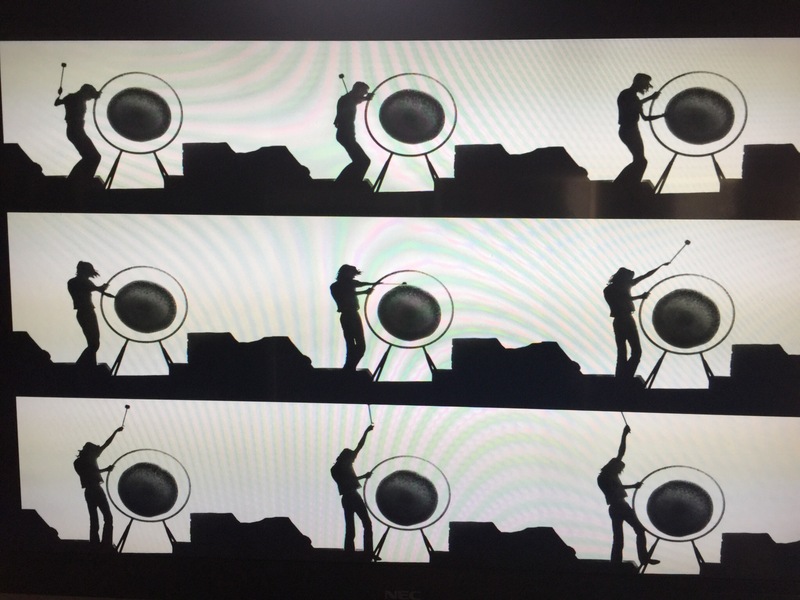 Pink Floyd had already experimented with filming outside the context of a standard rock concert. During a visit to Pompeii, he lost his passport, and went back to the amphitheatre he had visited earlier in the day in order to find it. Walking around the deserted ruins, he thought the silence and natural ambient sounds present would make a good backdrop for the music. The band insisted on playing live, and brought their regular touring gear with them. Their roadie, Peter Watts, suggested that their 16-track recorder would produce a sound comparable to a studio recording. In addition, it transpired that the natural echo of the amphitheatre provided good acoustics for the recording. Although it was grandly billed as “More Than A Movie! 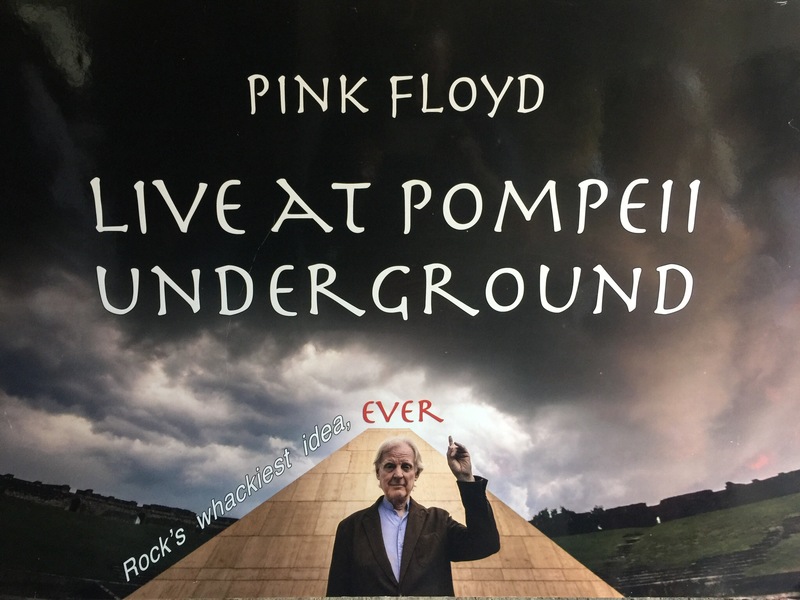 An Explosive Cinema Concert”, Pink Floyd: Live At Pompeii is a small, personal film, which sets Pink Floyd, then at the tail end of their space rock phase, at the very heart of the European art scene. It crowned the era in which the group were scoring ballets, adding soundtracks to foreign art movies and recording in Paris. 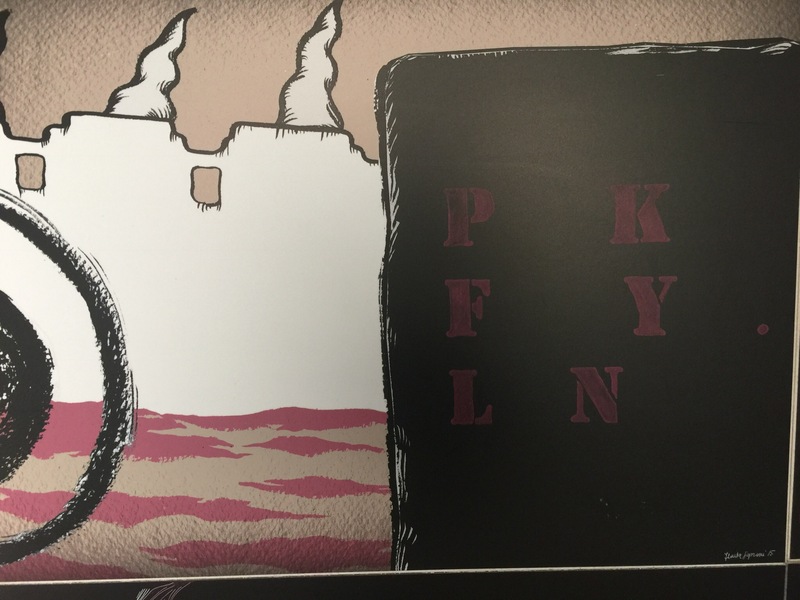 With a German-Belgian-French-made film set in an arena at the heart of the origins of Europe, Live At Pompeii represents Floyd as part of a continental Europe musical genre. In its own quiet and archaic way, Live At Pompeii expanded the band’s reputation throughout the 70s. The Beastie Boys made a music video for their song “Gratitude” that appears to be a homage to the film. What a brilliant find In this historic place.